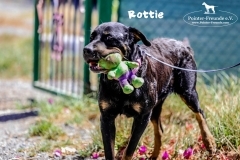 ROTTIE, Rottweiler, born 2011 - Pointer-Freunde e.V. 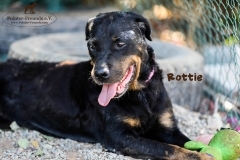 ROTTIE has arrived in her foster home in 19273 Brahlstorf, Germany. 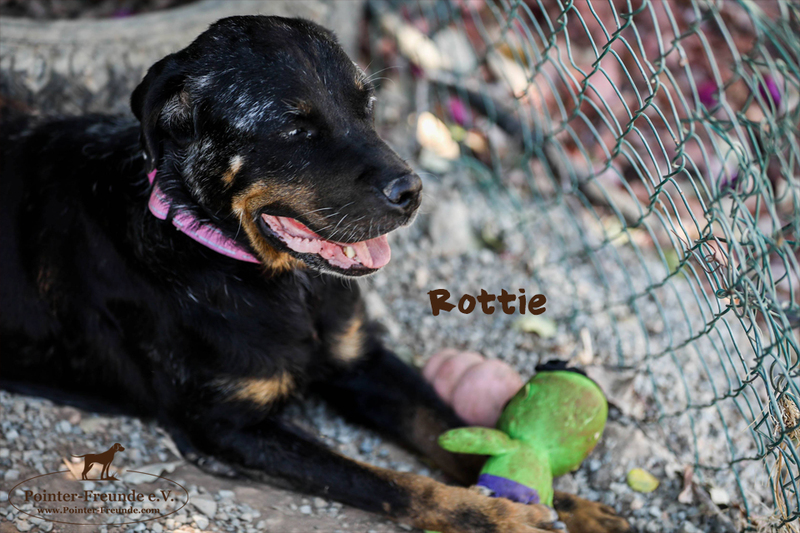 ROTTIE was given by her owner to a pound on Cyprus. She was in a horrible state and started to lose the colour of her fur. This is called Vitiligo and it is something very similar to human beings getting grey hair, so it is nothing bad at all. It makes ROTTIE even more special as she already is. ROTTIE is a character and a fighter. 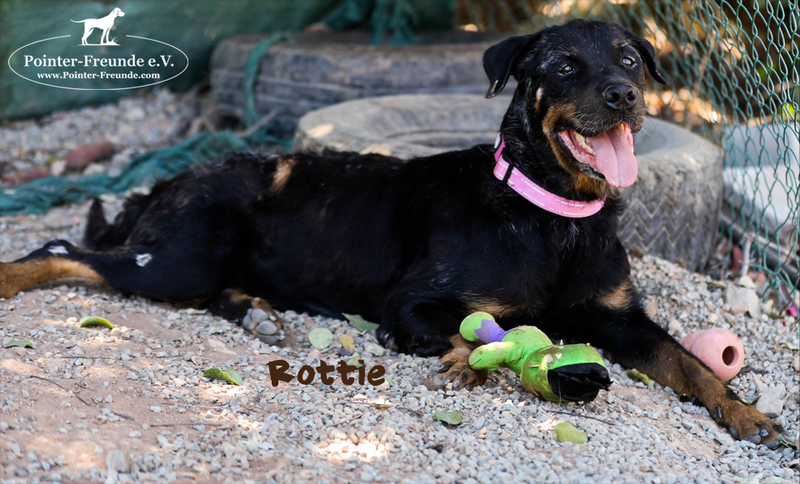 When we took her from the pound, she gained weight, confidence and strength, as she lost her hope before and was giving up already. 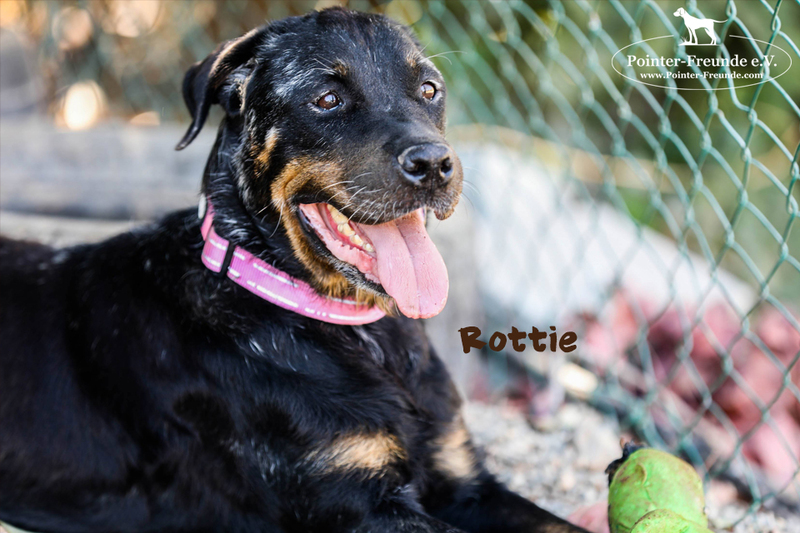 ROTTIE doesn’t like to share her food, but she will not attack – she will growl to tell you off. 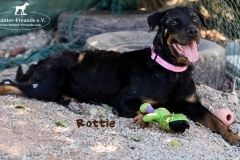 So she needs training on this and if together with other dogs, they need to be separated for feeding. 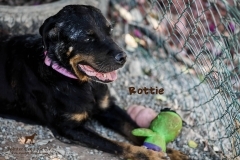 ROTTIE can travel anytime, as she has her EU-passport, is chiped, vaccinated incl. rabies, dewormed and deflead. She is spayed as well. 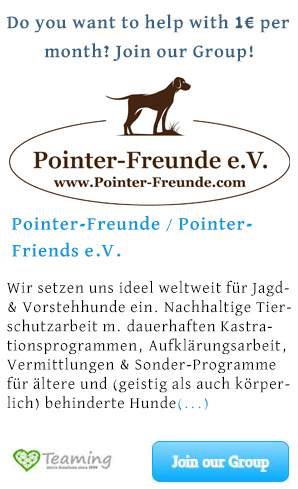 ROTTIE will be given through our charity Pointer-Freunde e.V. with an adoption contract and an adoption fee incl. travel costs, if necessary. 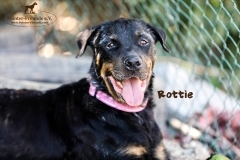 Please contact us if you would like to know more about ROTTIE.